While he’s been a little quiet in recent months, J. Cole is ready to make a whole bunch of noise in the coming months. 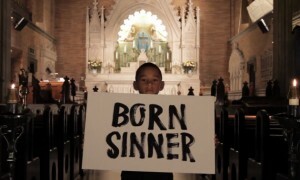 He recently released a dramatic trailer for his new album Born Sinner, which was originally slated for release on January 28, 2013. The North Carolina native later went to Jay-Z’s Life + Times website to speak on the new project. ”The beauty of the announcement is that the real MOMENT happened only once. Only the 15 or so thousand who sat in that Ustream know what that really felt like. Here’s to new albums and new approaches. See you soon,” he said. A perfectionist, Cole says the release of Born Sinner could now be delayed. He has stated that the album may also be accompanied by a short film. “Something way more expansive than a music video,” he told Billboard. © Copyright 2019 Stash Everything.